Dean Ambrose could be set to make a sensational return! 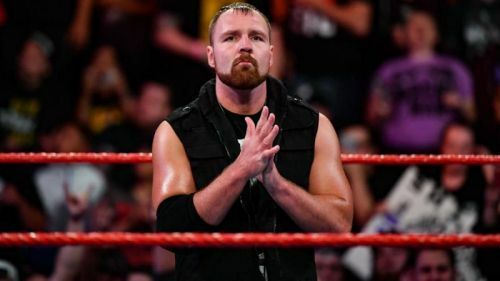 Amidst reports that tonight's special Superstar Shakeup edition of WWE Monday Night RAW is being affected by travel delays and cancellations, one recently departed WWE Superstar has been spotted backstage in Montreal - 'The Lunatic Fringe' Dean Ambrose. Dean Ambrose told WWE in January that he had no desire to renew his contract with them when it expired in April. This led to a brief Shield reunion for 'one last time' and then the former world champion being left off of the WrestleMania card. Dave Meltzer wrote an article adding to the John Pollock report that many segments in tonight's Monday Night RAW were being rewritten with several WWE personnel and Superstars caught in travel chaos. However, he buried the lede in my opinion, because at the end of the article was this little nugget of information pertaining to a Superstar who allegedly quit WWE last week being backstage for RAW. Dean Ambrose is also at the arena in Montreal for tonight's Raw. He is still under contract to WWE for a few more weeks. It remains to be seen if Dean Ambrose is actually going to get involved in tonight's episode of Monday Night RAW during the Superstar Shakeup or if he's just there to be supportive. One thing's for sure though, this is welcome news for anyone who doesn't want him to actually leave. Do you want Dean Ambrose to stay in WWE? Leave your thoughts in the comments section below!